It combines the immediacy of real-time chat with an email threading model. Desktop client for Zulip. Available for Mac, Linux, and Windows. 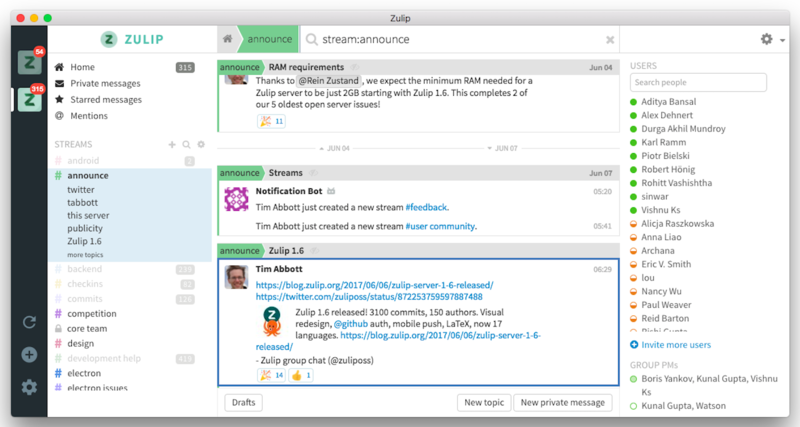 First, join us on the Zulip community server! Also see our contribution guidelines and our development guide. Released under the Apache-2.0 license.